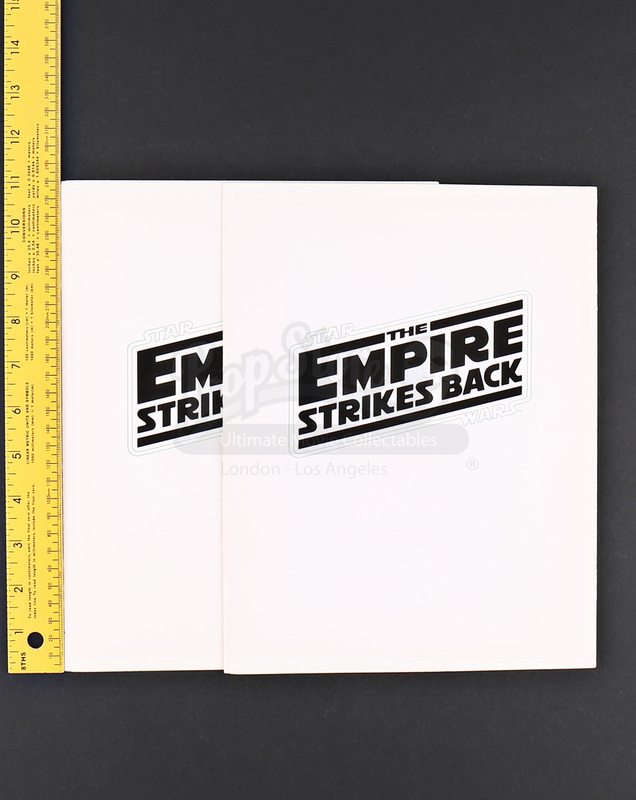 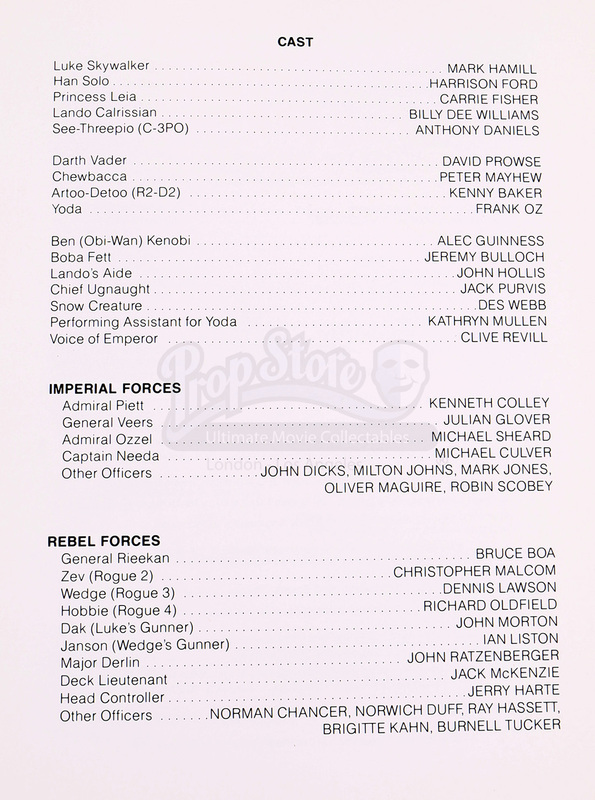 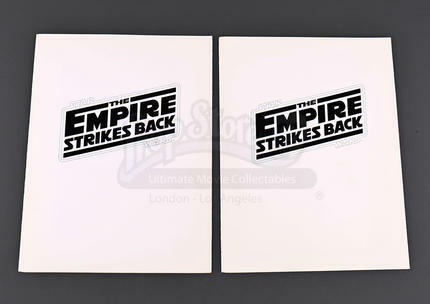 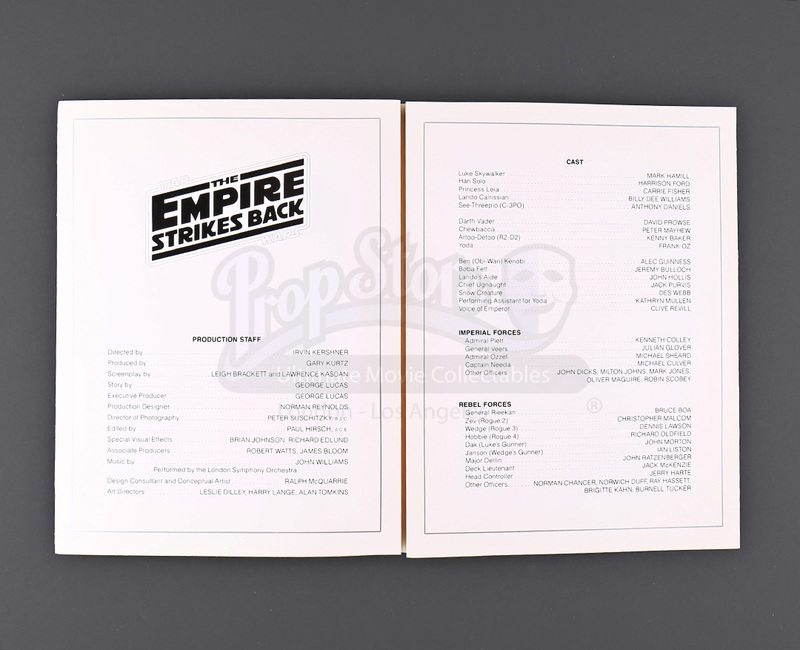 A pair of cast and crew credits folders from Irvin Kershner's 1980 sci-fi classic, Star Wars: The Empire Strikes Back. 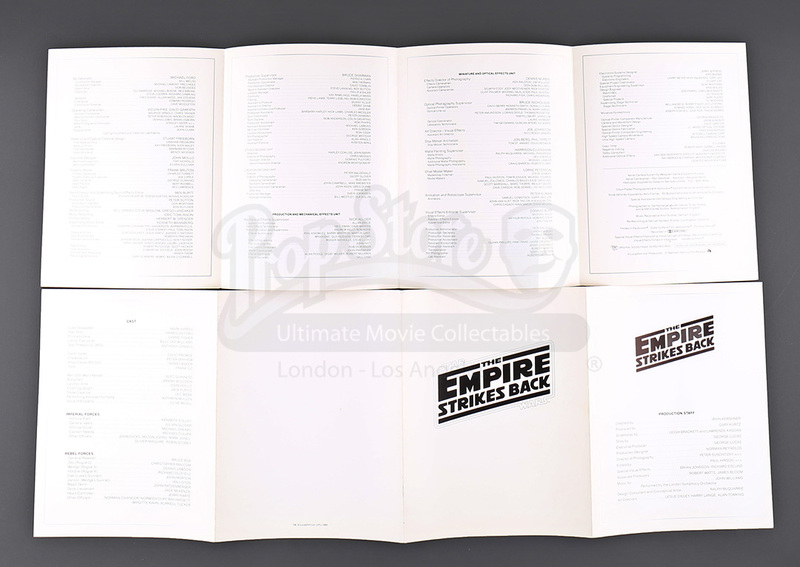 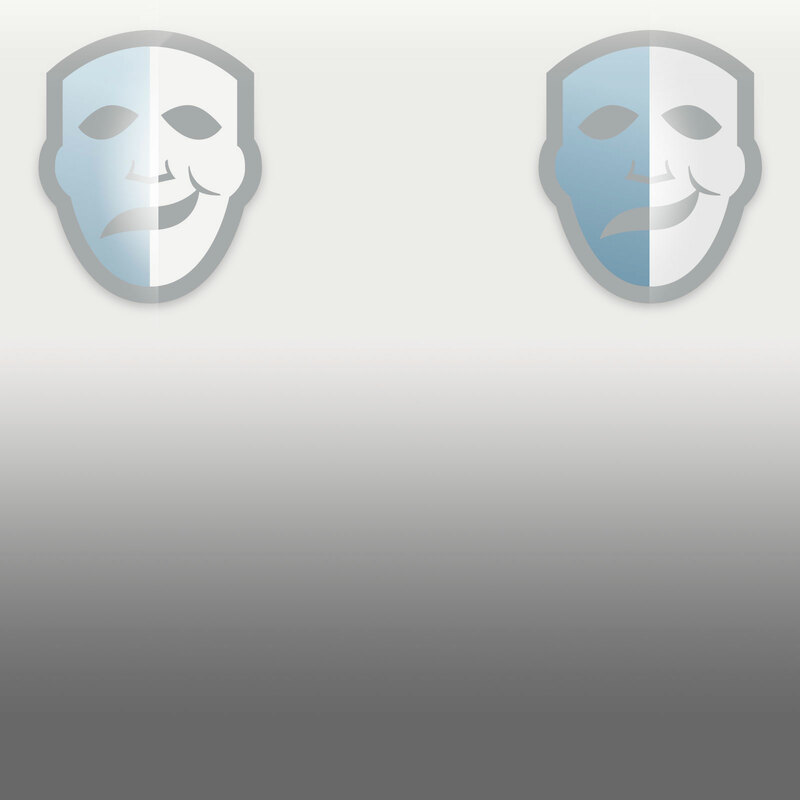 Each folder is white and features the film's title logo printed in black on the front. 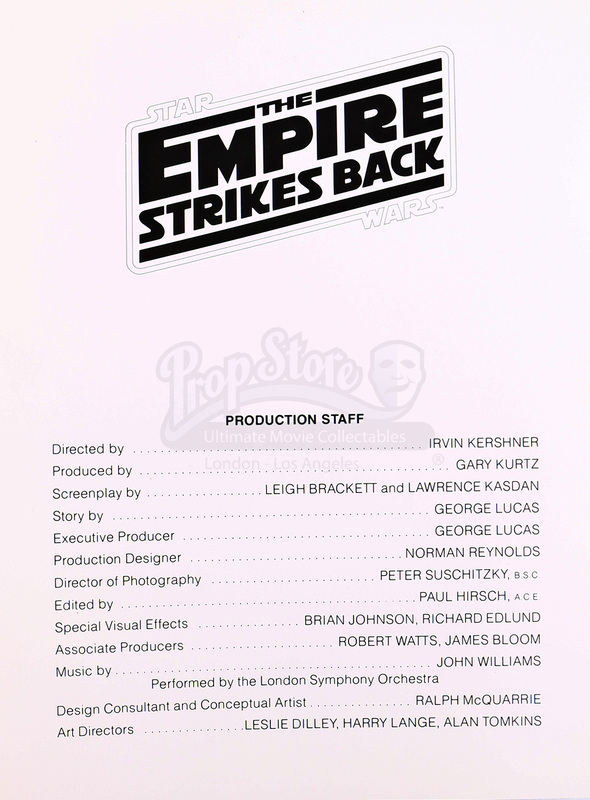 When opened, each page lists the cast and crew members who worked on the film. Each folder shows little to no sign of wear and remains in great overall condition.